Hot Shruti Haasan tempting Ram Charan for this movie? 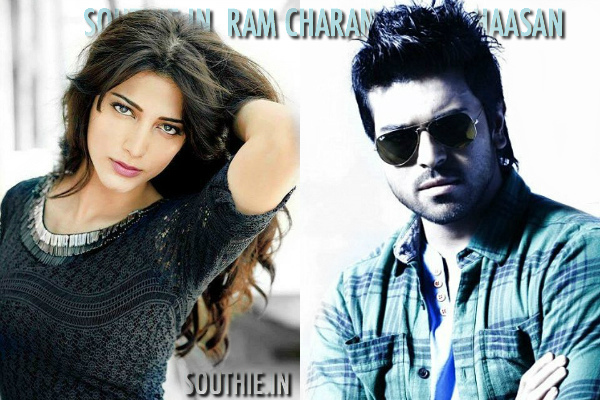 Home/NEWS/Hot Shruti Haasan tempting Ram Charan for this movie? Hot Shruti Haasan tempting Ram Charan for this movie? Is Shruti Haasan tempting Ram Charan to remake Rocky Handsome in Telugu. She is co-producing this movie and prefers Ram Charan do this movie down south. Mega Powerstar Ram Charan and the beautiful Shruti Haasan share good friendship. Though Shruti was considered to play the female lead opposite Charan in the actor’s upcoming Telugu remake of Thani Oruvan tentatively titled Dhruva, there has been no official word from the makers. According to reports, Shruti had a word with Charan about remaking Bollywood film Rocky Handsome in Telugu. Interestingly, Shruti is playing the leading lady in this action-thriller which is an adaptation to Korean film The Man from Nowhere. John Abraham is essaying the protagonist in this Nishikant Kamat directorial that is poised for release on March 25. At a time when John is contemplating to remake this film in Telugu and Tamil, Shruti has taken the initiative and had a word with Charan about the possibility of remaking it in Telugu. Ram Charan too got connected to it right away and is heard to be interested in remaking it after hearing the plot from Shruti Haasan, heroine and co-producer of the film.